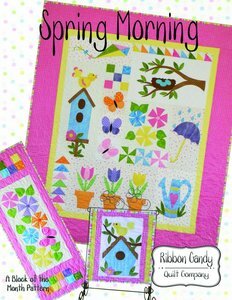 Spring is in the air and these quilts will help you to celebrate the earth in bloom! 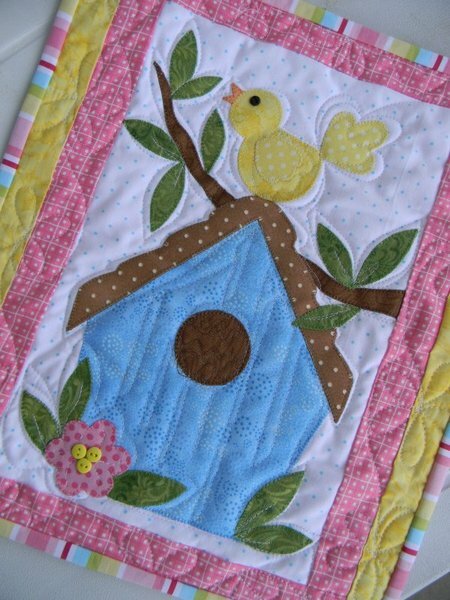 Fun fusible web images and tradional blocks combine to make these quilts a must to make. 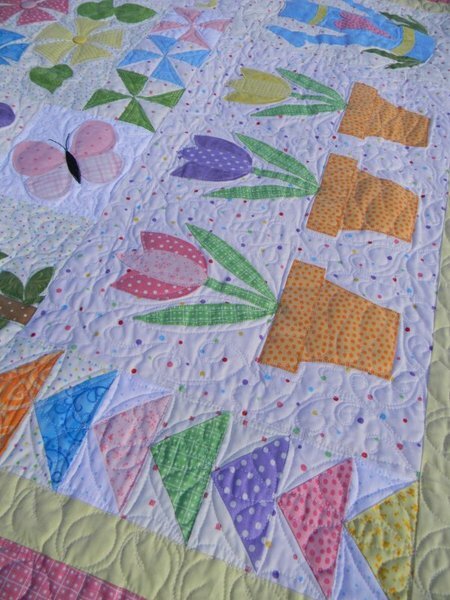 The wall hanging measures 52” x 62”, table runner measures 14” x 40” and the mini quilt is 12” x 14”. All the templates are full size, so you are ready to go. The pattern comes with very detailed instructions and lots of diagrams to follow.